The gang’s all here and ready for action! In Disney’s The Muppets…Again!, the gang is touring the world, stopping off at great destinations, like Berlin, Madrid and London, to sell out theaters and entertain audiences. As bad luck would have it, however, the Muppets are ensnared by an international crime caper masterminded by Constantine, a world-class criminal who looks just like Kermit the Frog! Constantine is assisted by his sidekick, Number Two (Ricky Gervais). Also in the film are Tina Fey as Nadya, a feisty prison guard, and Ty Burrell as Interpol agent Jean Pierre Napoleon. Disney’s The Muppets…Again! 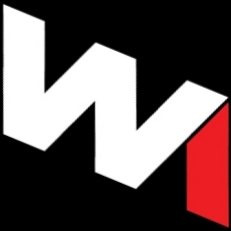 is directed by James Bobin and produced by David Hoberman and Todd Lieberman. Bobin co-wrote the screenplay with Nicholas Stoller, who is also executive producer with John Scotti. 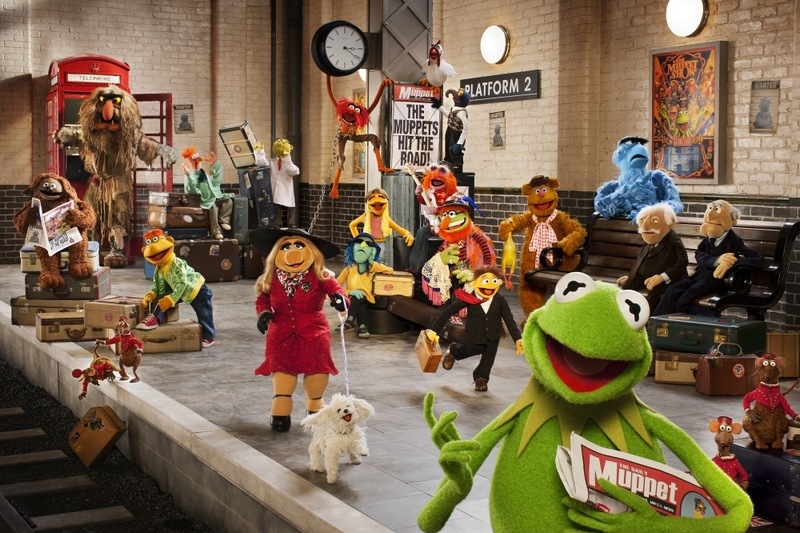 Featuring music from Academy Award®-winning songwriter Bret McKenzie, The Muppets…Again! hits the big screen March 21, 2014. 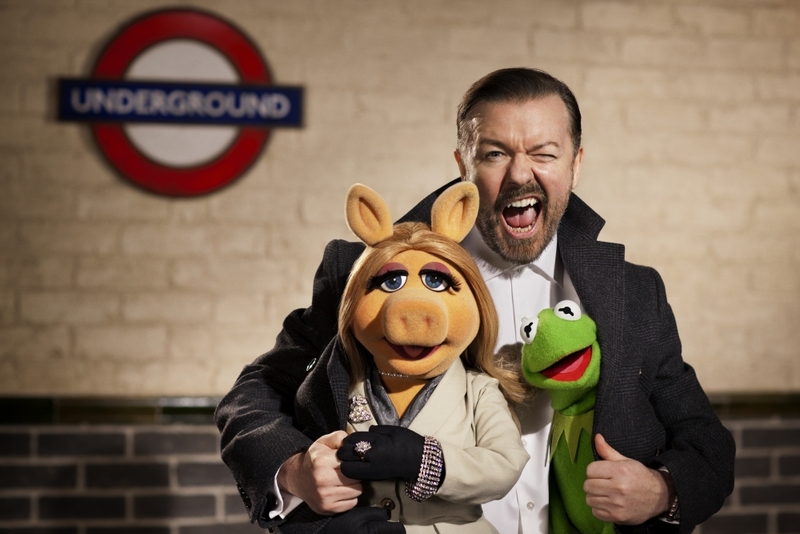 Ricky Gervais in a Muppets film? Genius!